Here's a quilt I quilted recently for Wendy. 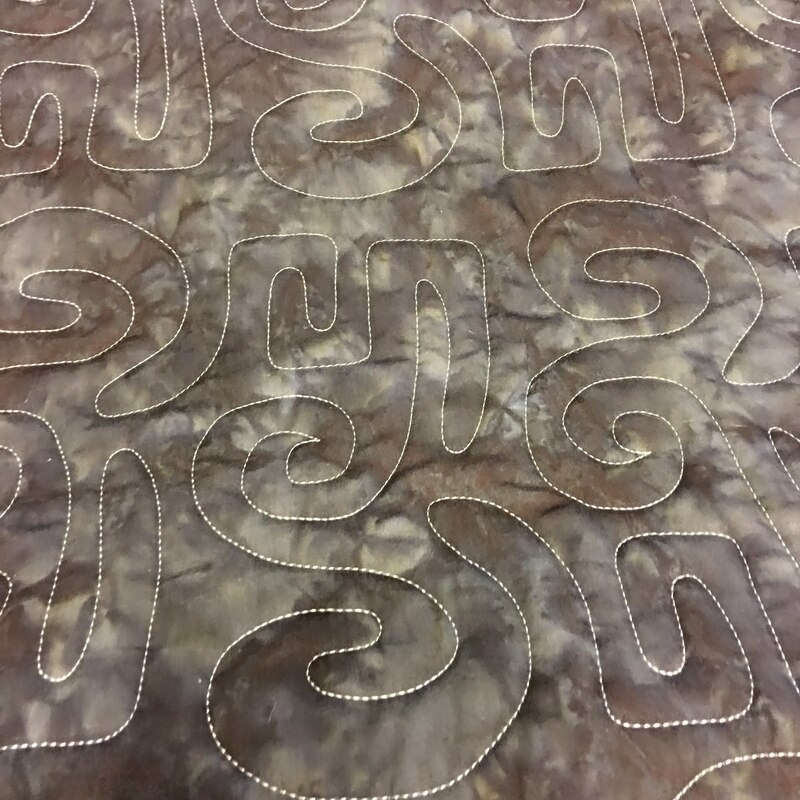 Many of Wendy's quilts are made from batik fabrics. She made this one for her son's bed. It has a definite modern look to it. The batting is wool, so the quilting shows up great, and it is light, fluffy and warm! 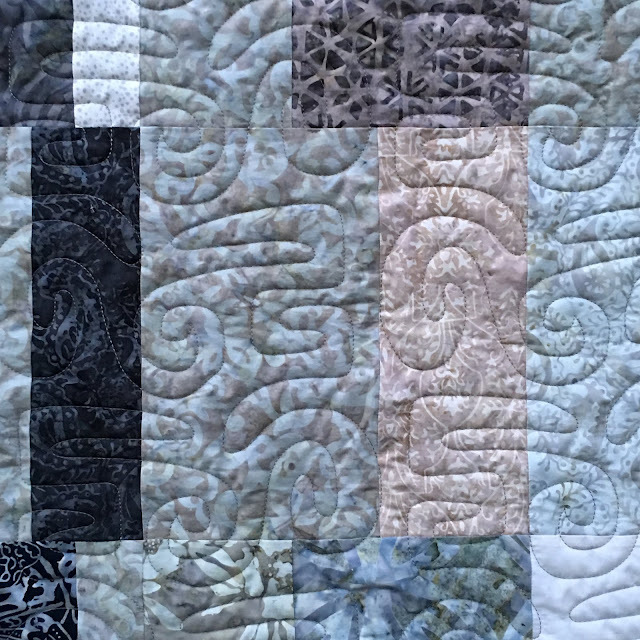 I quilted it with an edge-to-edge called "Modernish 3". The backing is also batik. 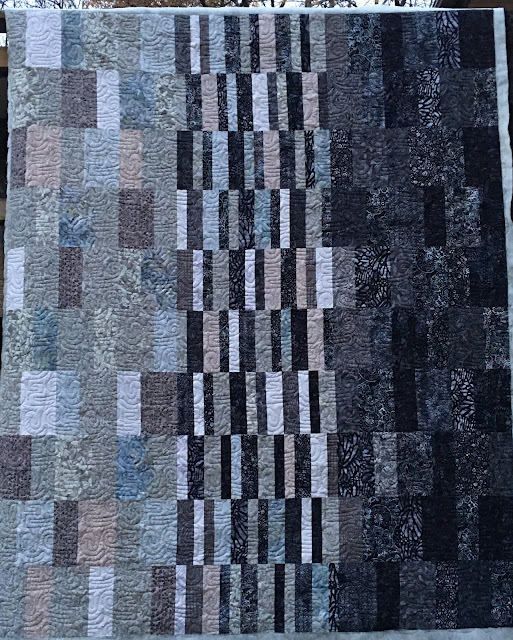 I changed thread colors three times on this quilt--from light grey to medium grey to dark grey. 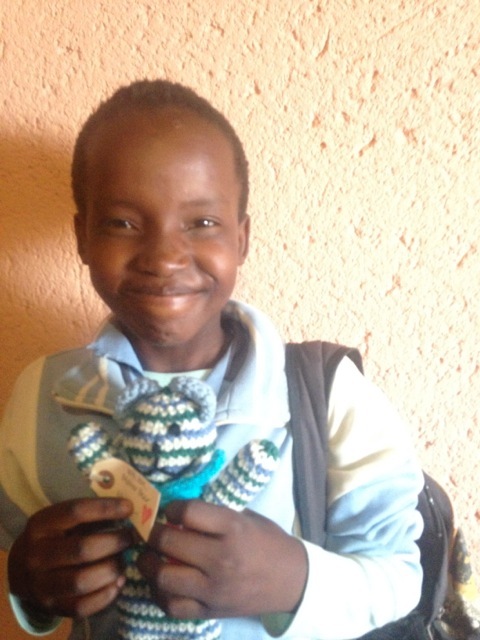 Two of my Mother Bears have made it safely to children in Africa! 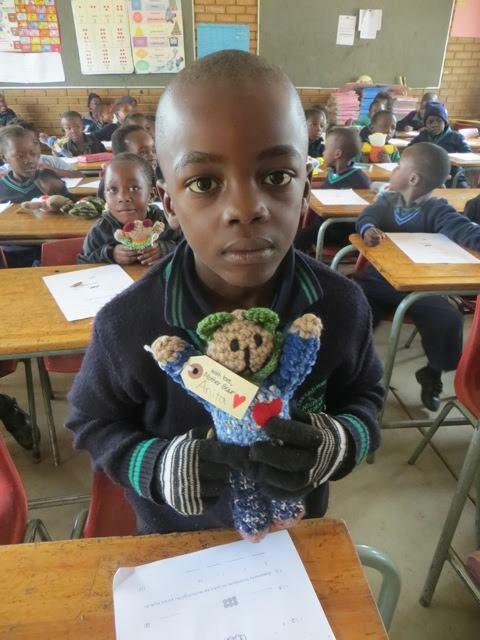 It is so much fun to get the photos of the children with one's very own bear in their arms! 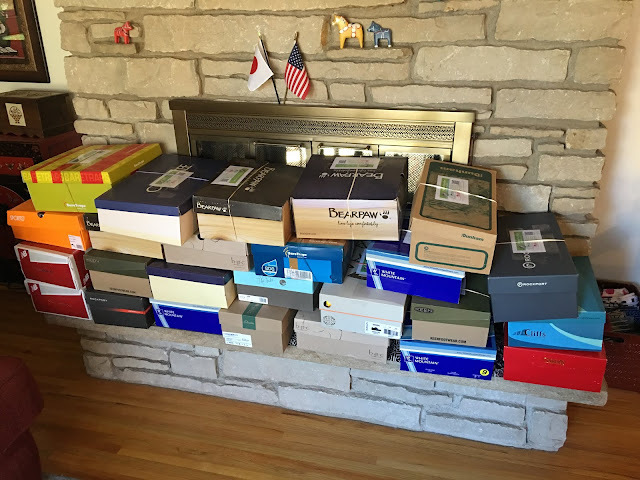 This is Operation Christmas Child shoebox collection week! We have been working on them all year and have 50 boxes to turn in. We are taking them to 5 different collection locations, just so they get mixed up a bit and will maybe go to several different countries then. We have volunteered at the Operation Christmas Child Processing Center in the Twin Cities the last two years. While there, we noticed the fewest boxes were for boys, ages 10 - 14. 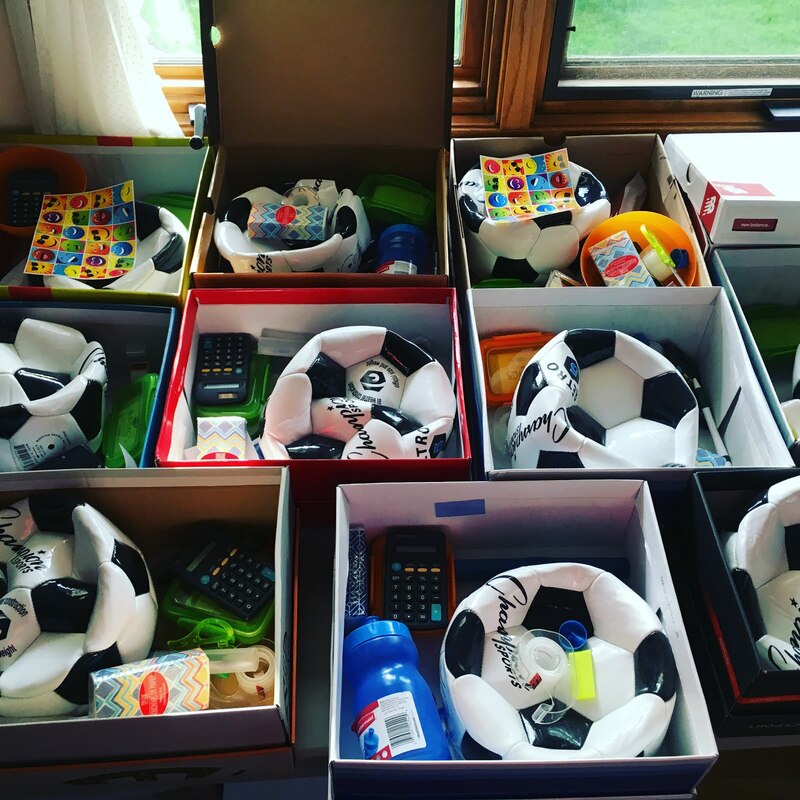 We made 25 boxes for that category this year, each including a soccer ball & pump, plus a t-shirt. Here's a video DD2 put on YouTube--What to pack in a boy's 10-14 year old shoebox. The next most needed category is for girls, ages 10 - 14. 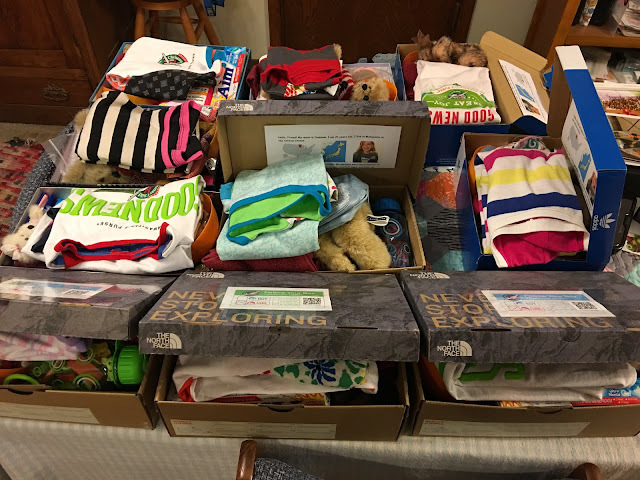 We made 25 boxes for that category, also, each including a knit shirt made by DD2 and a stuffed animal. 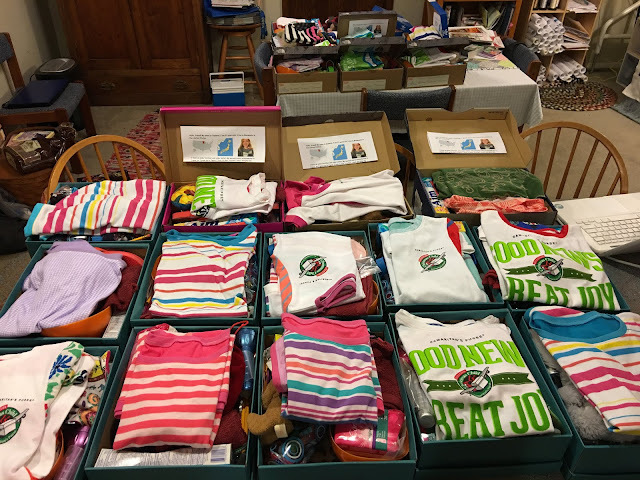 And here's her video--What to pack in a girl's 10-14 year old shoebox. and Confessions of a Fabric Addict--Can I Get a Whoop Whoop?! Wow! 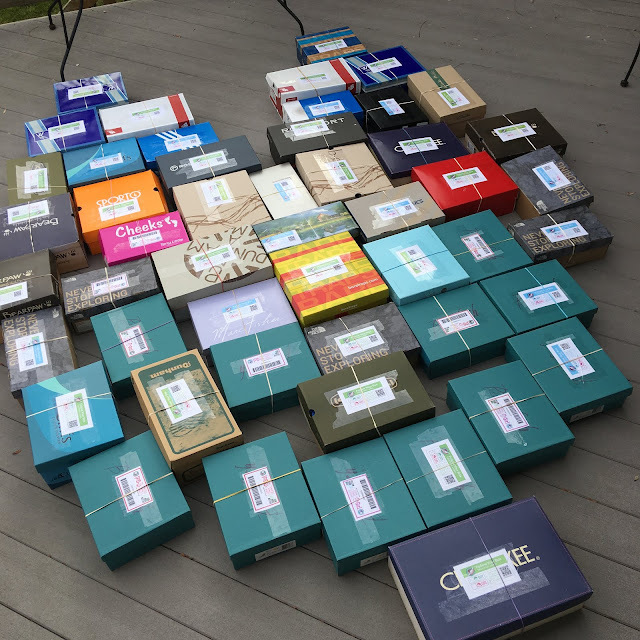 50 boxes!!! Way to go! Well thank you, EmileeHope! 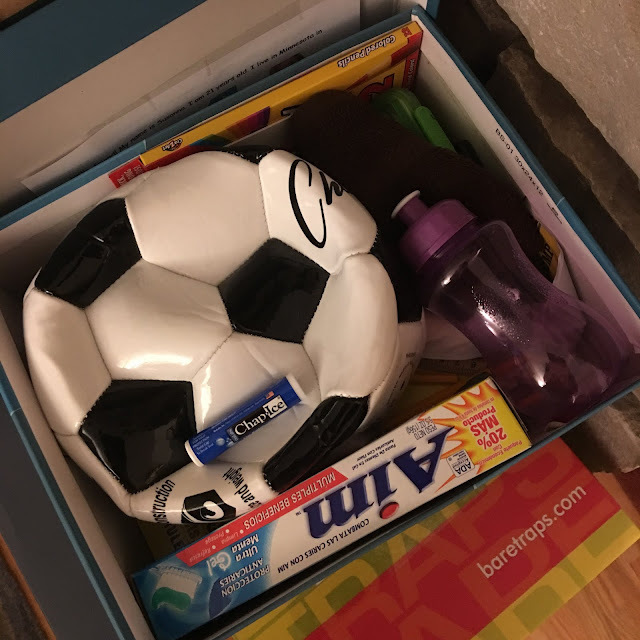 Have you made OCC shoeboxes? It is too much fun! 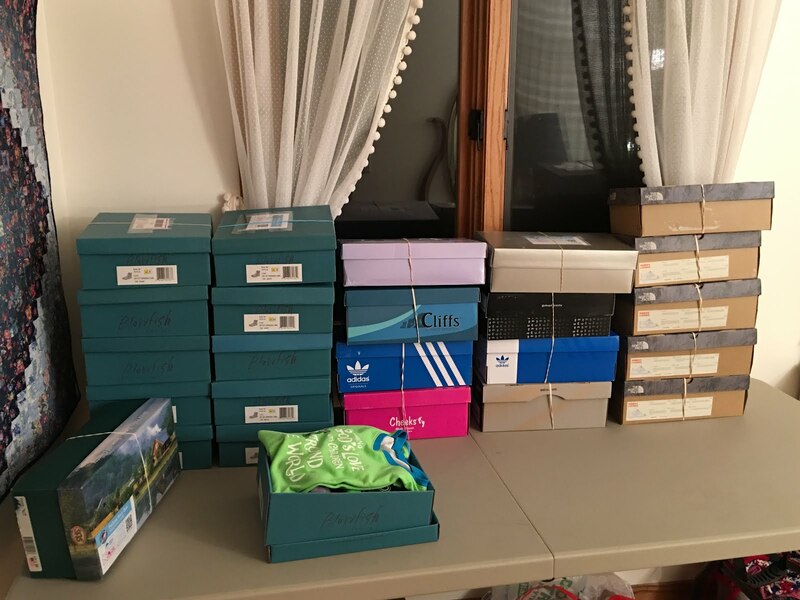 Wow, those boxes surely will make many children smiles. The boys' smile brought tears to my eyes, sometimes small things can really brighten someone's day somewhere across the globe. The smiles keep me going!!! It's a wonderful thing. Thanks for commenting! Such a lovely thing to do, and those smiles say it all!! Isn't that the truth--those smiles keep me going! Thanks, Jenny!